Fiverr is a great place to start making cool bucks but when things are not going to plans you look for sites like fiverr for you to be able to make some cool cash from different areas. Fiverr what was the first to bring this interesting concept of $5 per service or gig, this has really helped some people get what they want for a very low price but as a seller or a buyer and what you want is not available on fiverr then you look for fiverr alternative. There are many reasons why you should look for alternatives even to both buyers and sellers, but mostly sellers that look for sites like fiverr to at least increase their income even if it to pay for bills. It has really become competitive and a place whereby duplicates of gigs all over the sites, this is not really good as this makes it hard for buyers to find the main sellers which will create the best for them and have mistakenly fallen into the hands of wrong seller and this ends up not good as the buyer begins to complain because see it as a quick money making but without putting the view of the buyer at heart. One of the main excuse why sellers look for alternative is because of the fee which is $5 for all gigs, so it means no matter what you are doing as a gig the main payment fee is $5, like when I was still into fiverr that I will totally design a blogger blog for $5 is totally out of it. As you know there are some jobs that takes 10-20 minutes and some that takes days and it totally hard for me to collect that sum for the kinda job i just did so I just pushed it aside and look for something more resourceful and the fee is high. Other problem why people are leaving to sites like fiverr is that the sites remove a dollar from the usual $5 remain $4 which goes to your account and then your paypal for bank account. This is a quick money making scheme. So in this post I will list and give a short review on each sites that you can use as a fiverr alternative money source. Gigbuck is a very popular place after fiverr, this site provides gigs fro all categories just like that of fiverr, it is free the site and create your own gig just like that of fiverr and get sales but the interesting part of this site is that it allows users to charge within the range of $5-$50 which is great improvement to that of fiverr. 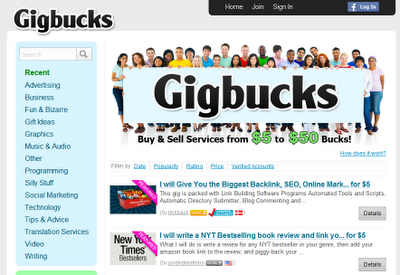 So you see Gigbucks is a great fiverr alternative for sellers to increase their income per gig. SEOClerk is great sites which is only to provide SEO services for webmasters and sites owner, even though the site is kind of mono and only seo providers can join it also allows seller to charge above $5 for their gigs just like that of Gigbucks. 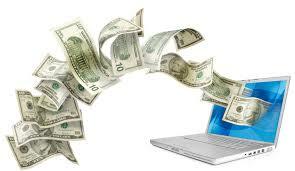 This is another awesome website which allows users to even charge up to $100 per gig, yes! so if you have a idea or service that worth that range you can just go and create a gig there and get sale if what is provide is unique and great. 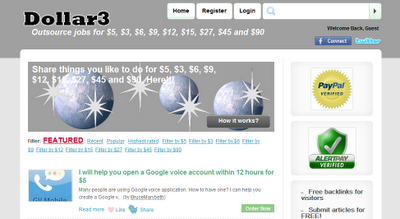 If you have gigs with1 low charges such as $2-$4 the site do not remove commission like that of fiverr. 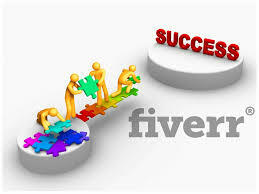 This is a great fiverr alternative, higher fees and no commission for small gigs like that of fiverr. Tenbux is exactly like fiverr when it comes to the design of the site, it has the same interface as that of fiverr which makes one of the fiverr alternative, TenBux allows you to charge up to $10 per gig and it takes a commission of $2 from your sales, so the take the same commission as that of fiverr it just they allow you charge up to $10 per gig just as the name implies “TEN” BUX”. So if you need alternative with less competition TenBux is good. 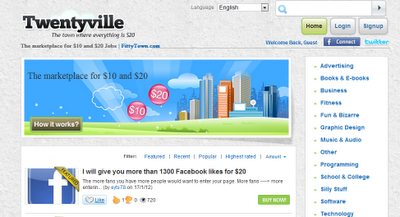 Fiftytown is a great site for sellers, it allows you setup a gig and charge $50 per gig!! these is totally awesome, but the problem is that will you find the market? Fiftytown takes 20% commission leaving you with $40 which is still great, you can head over there and might get sales, who knows. try it good and quick money making ideas place. This is another good website which allows you to setup your gig for $10-$20 per gig and also collects a commission of 20% of every revenue you receive, it still better than fiverr at least their is an increment in the income per gig. 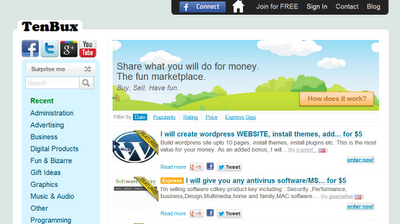 This is another awesome site among sites like fiverr. Dollar3 is also a alternative to fiverr which allows you to host or setup gigs in $5 and also in multiples of 3; $3, $6, $9, $12, $15, $27, $45, and $90. These sounds great to me and the site looks exactly like that of fiverr and some call the site fiverr clone because of the resemblance between the two which is really inviting. As the name sounds the tenrr site allows you to create gigs for $1-$10 per gig, the site looks like fiverr when it comes to the arrangement of categories, the problem i have with the site is that seller create gigs with low prices just to attract more clients to them thereby not allowing you to really get buyers or clients except they know you. It totally a great site, You should try the site out. So these are the sites that I found and i believe will be enough to fetch that pocket money increase, so one should not only concentrate on fiverr and receive pennies but on more money pumping sites and increase one revenue, always try to be unique and do some analysis and research before creating a gig on this sites this will help you know what people like and will like to buy. You may having been noticing that in this post I write words like quick money making ideas these is because these sites allow to see what people are liking and are willing to purchase for a particular which makes you think and learn skills that can make get clients for those same services and increase your income, so makes use of these sites like fiverr well and you will learn more. Fiverr is not the only place to make money as a freelancer and use your skills to make more money, so these sites that I have mentioned above are sites which can be exploited to make money from so don’t tie yourself to only to only fiverr but instead try out other sites and see what you can dofor them and what they can do for you! I’m surprised that SEOClerks isn’t on the top of that list. It kills your #1 selection there. The same company (Ionicware Inc) also has CodeClerks.com and ListingDock.com now – might want to add those. i too think the time for fiverr is gone, they only allow you to charge $5 and even in that, they take a hugeee 20% commission…its much better to use alternatives like earnfromskill.com and gigbucks.com…earnfromskill in particular charges the lowest commission and allows to charge more than $2000 , apart from giving away $5 for free…guess they will spring up on this list soon..